A sweet bear in an animal wall trophy ! 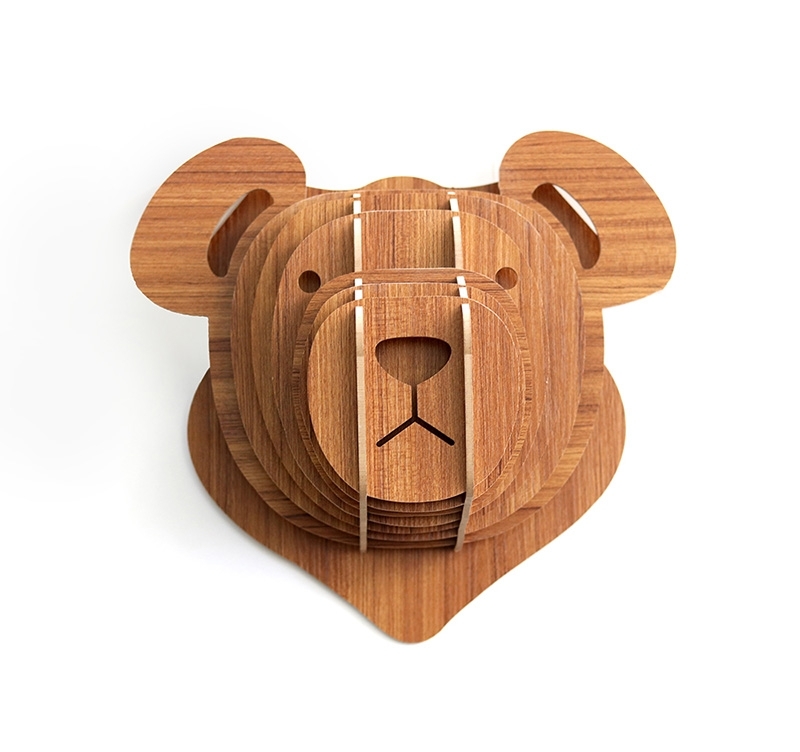 This wood bear head deco is entirely hand made. The dimensions of this design wall decoration are 41 x 22 cm. 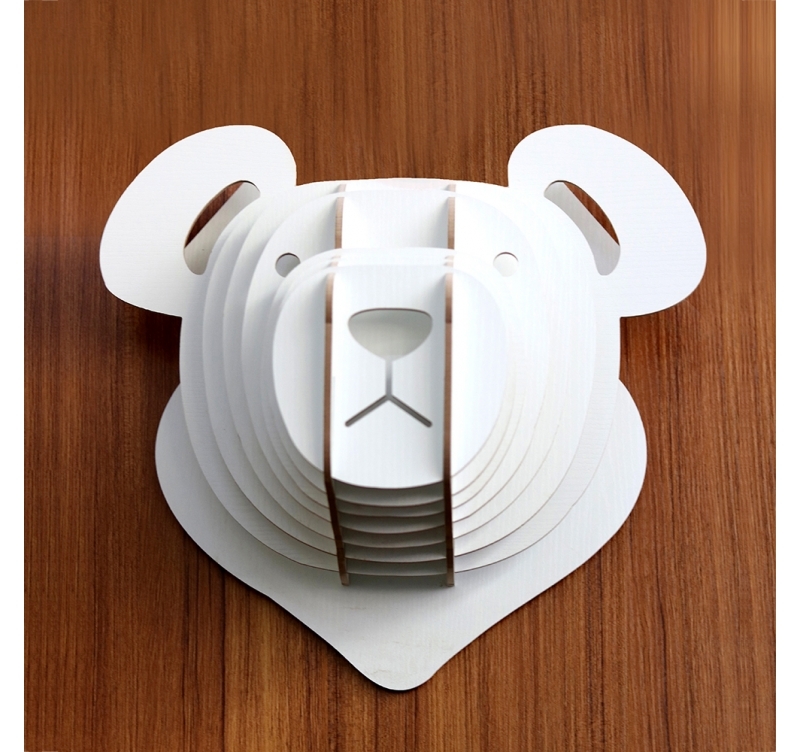 Delivered as a kit, this bear trophy decoration is easily put together in a few minutes. 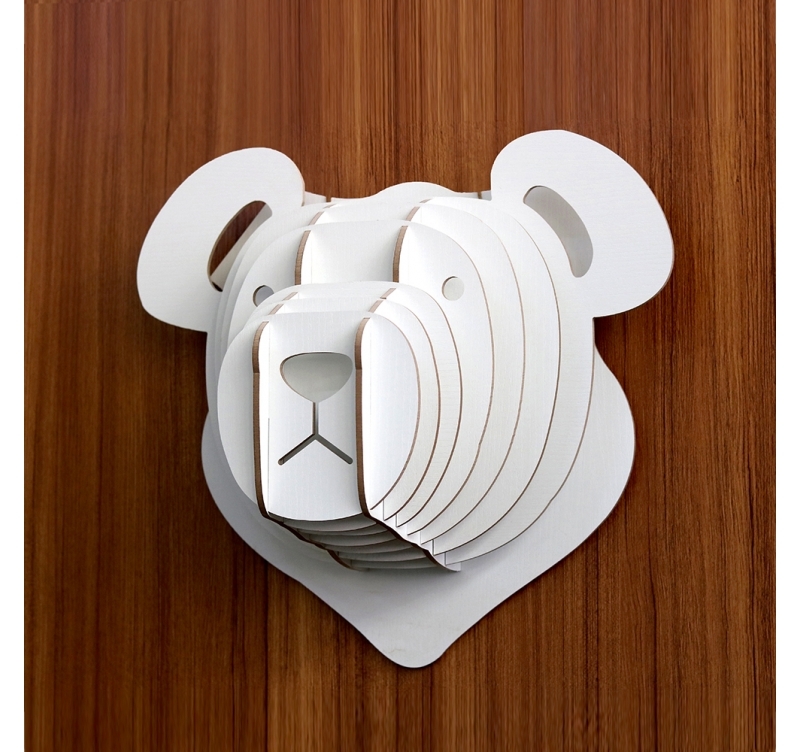 The impressive mountain bear is found on a design wall decoration in its honour to impose its style to your interior ! 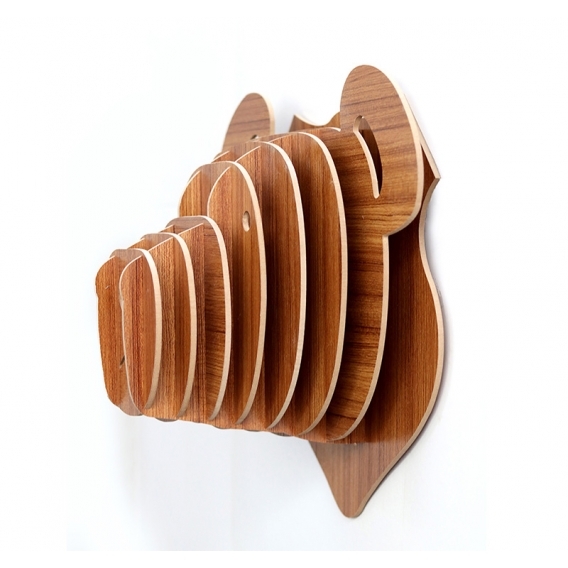 You can feel the size of the animal with this large animal head deco that will allow you to bring nature to your walls. 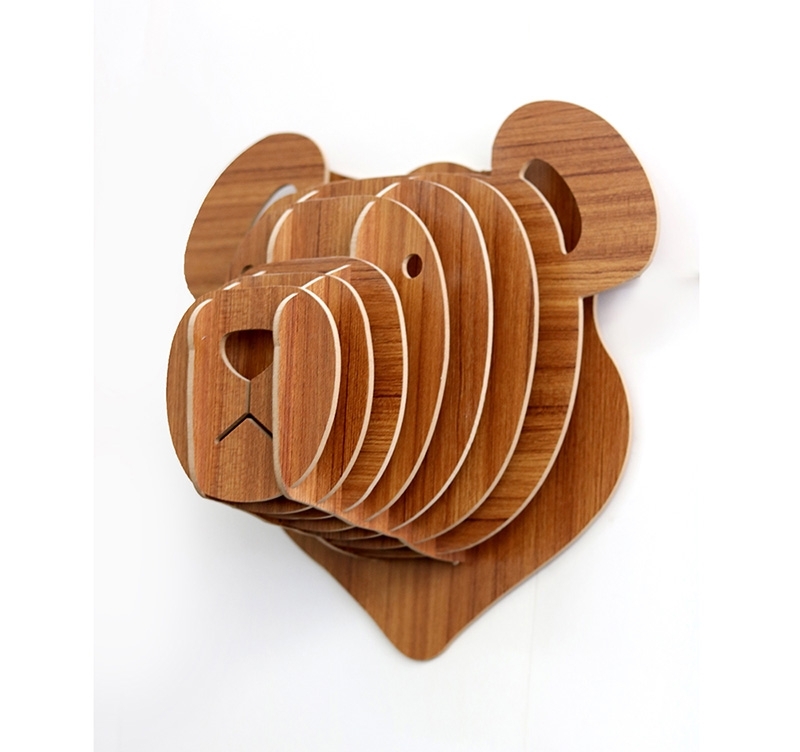 Its eyes will move the young and the old making this wood wall decoration fit to be hung up in your children’s bedroom. 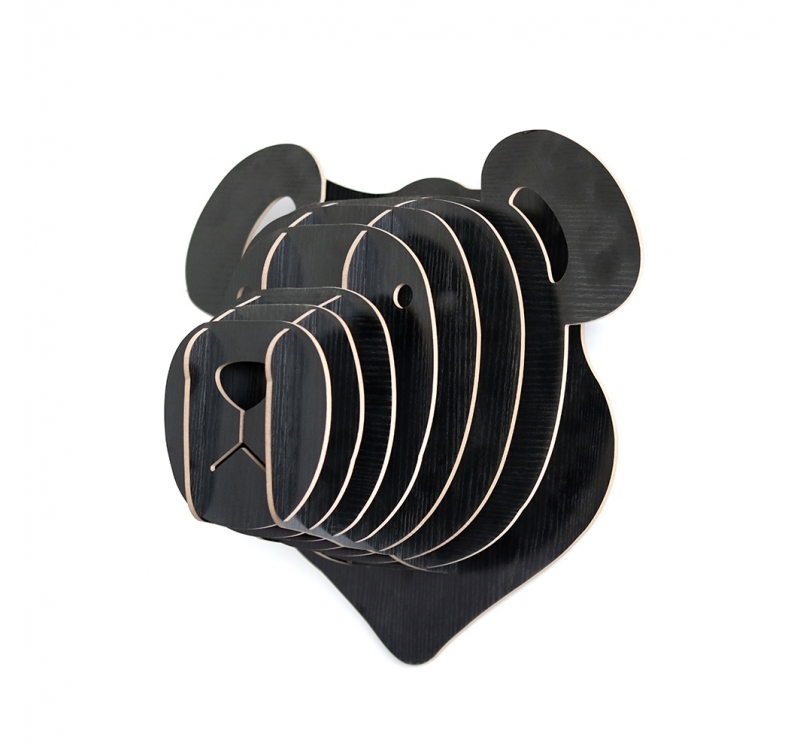 This design bear wall trophy comes in several colours to nicely decorate your walls with a modern head in relief. 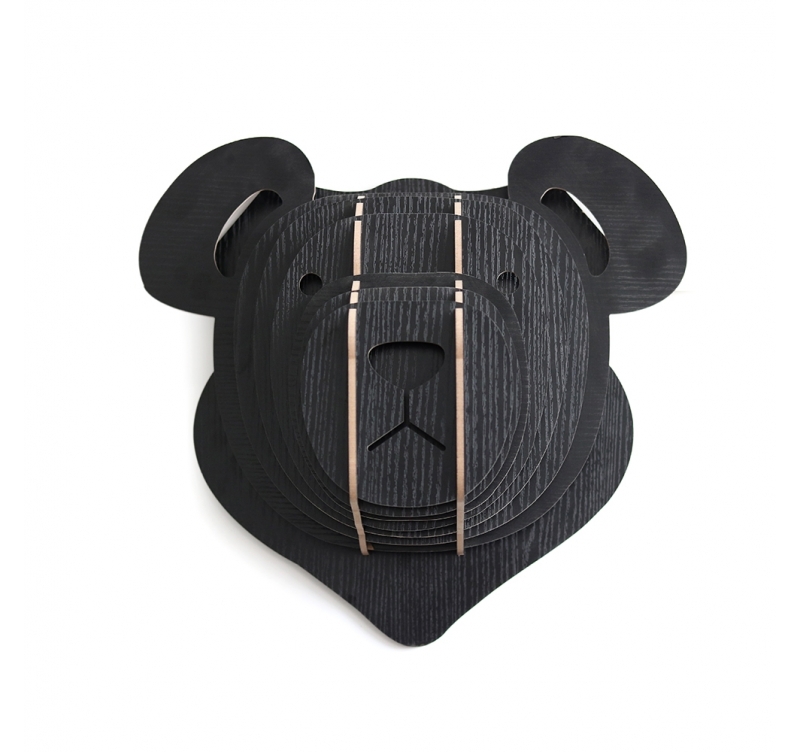 This contemporary bear head is delivered free in metropolitan France and Belgium. 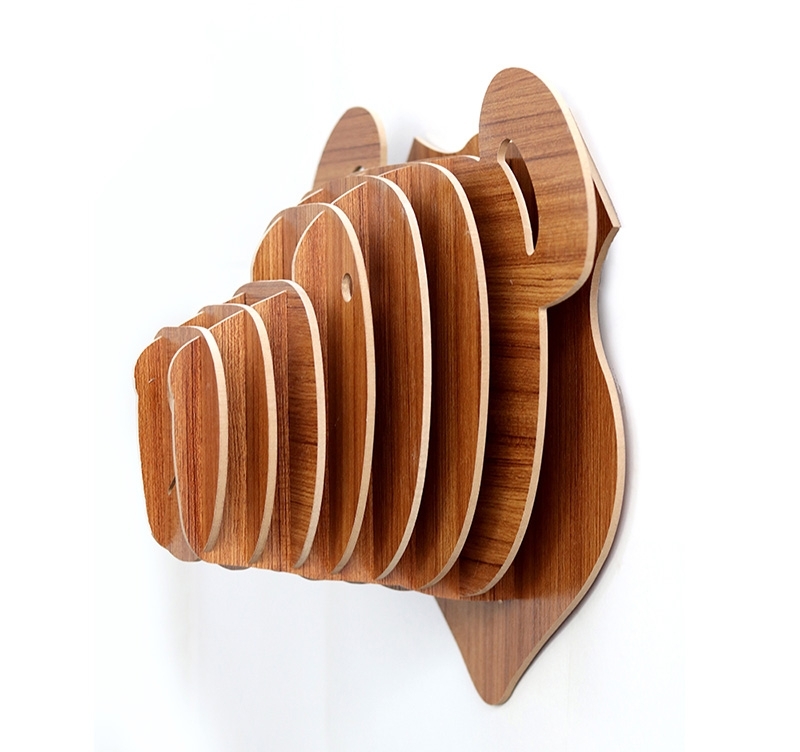 Once delivered you can easily put this wood wall decoration together and hang it up very quickly in a few minutes thanks to the integrated hanging system at the back of our wall trophies.